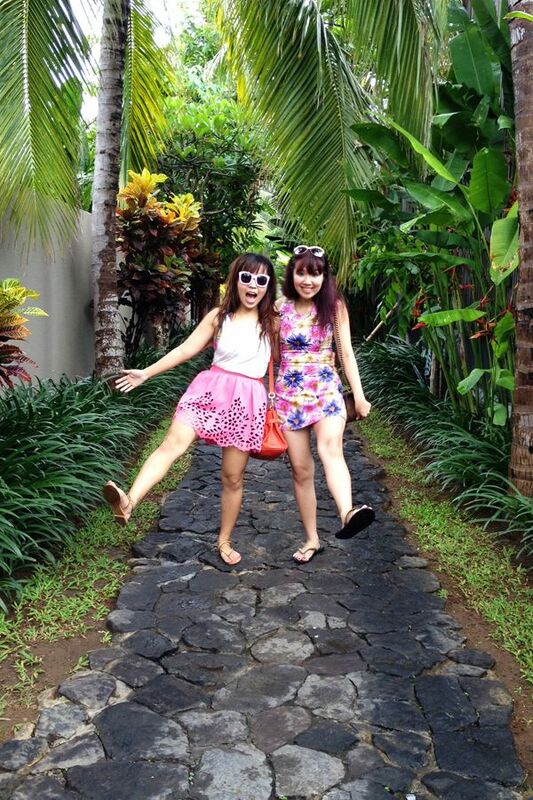 Revel in me...: Bali sisters' trip 2014: W Hotel, Bistrot and Kitchenette. 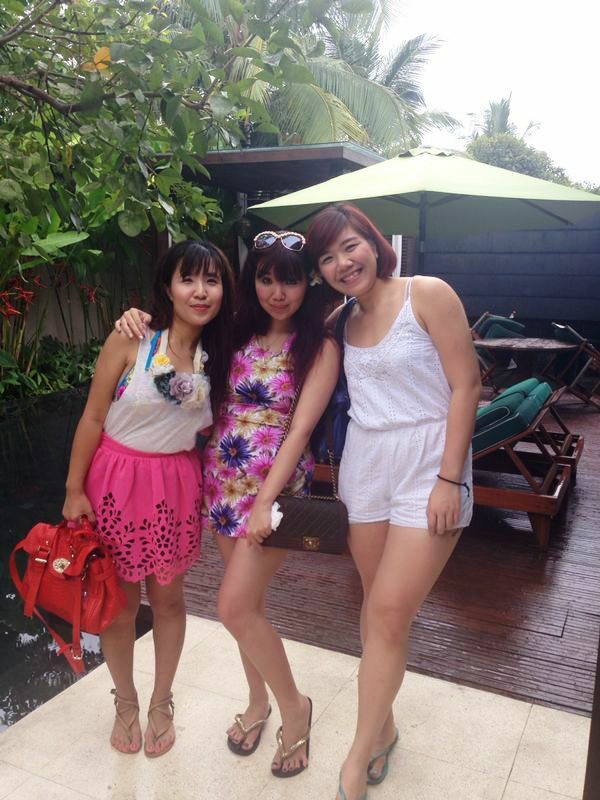 Bali sisters' trip 2014: W Hotel, Bistrot and Kitchenette. I know I am jumping everywhere with my travel posts, but sometimes I need inspiration to do up blogposts! Especially travel posts as they are usually very photo-intensive. Oooh, I miss my sisters! And hence, this blogpost, haha. I have already blogged about Day 1 here, as well as photo sneak peeks here and here. 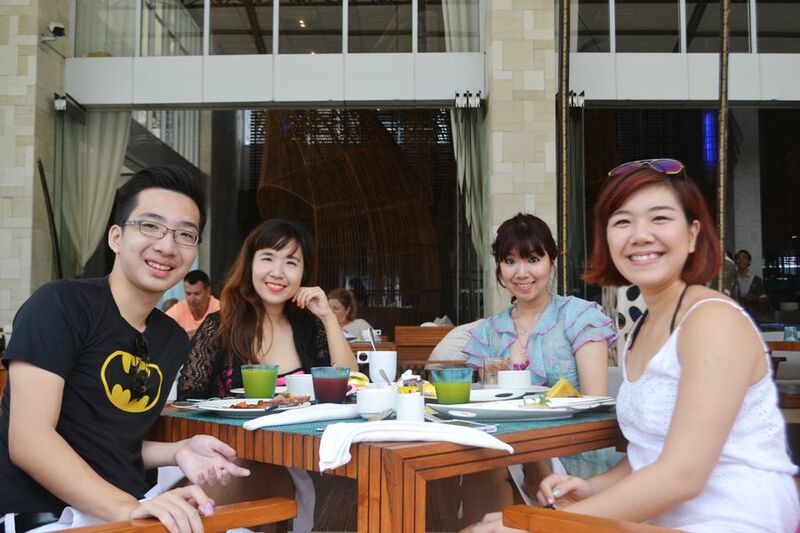 Buffet breakfast at W Hotel. I love hotel breakfasts! One of my favorite ones is at Lebua in Bangkok. 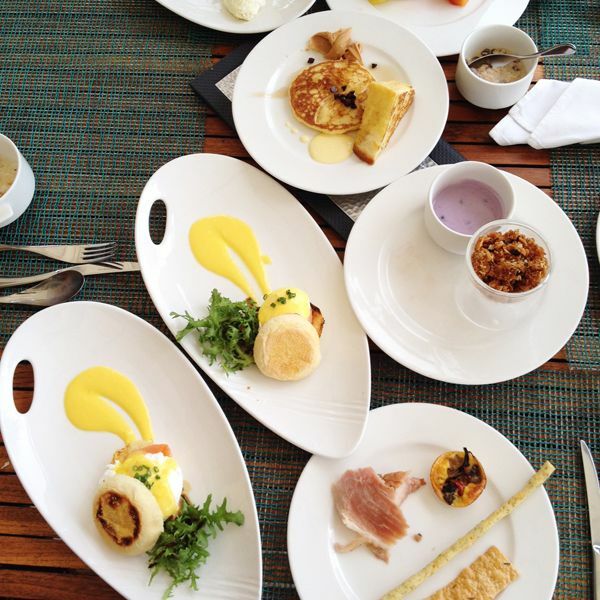 We deliberately picked a seat outside because what could be better than having breakfast facing the sea? 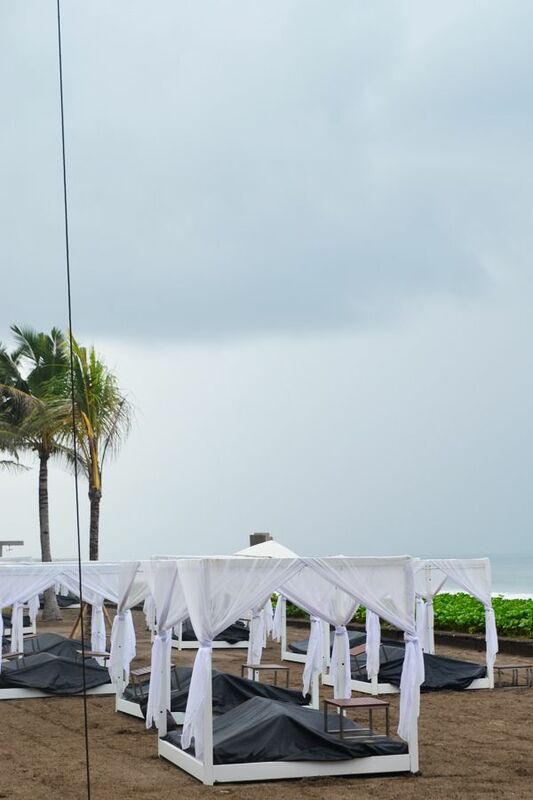 I was really looking forward to chill at these hammocks, but our future looked bleak (no pun intended). So people, if you ever stay in W, make sure to RTFM (Read The F*cking Menu wtf)! Being the kiasu people that we were, we die-die went ahead to order a few dishes from the menu despite being really full already haha. Self-consciously covering my stomach after all the gluttony at breakfast. 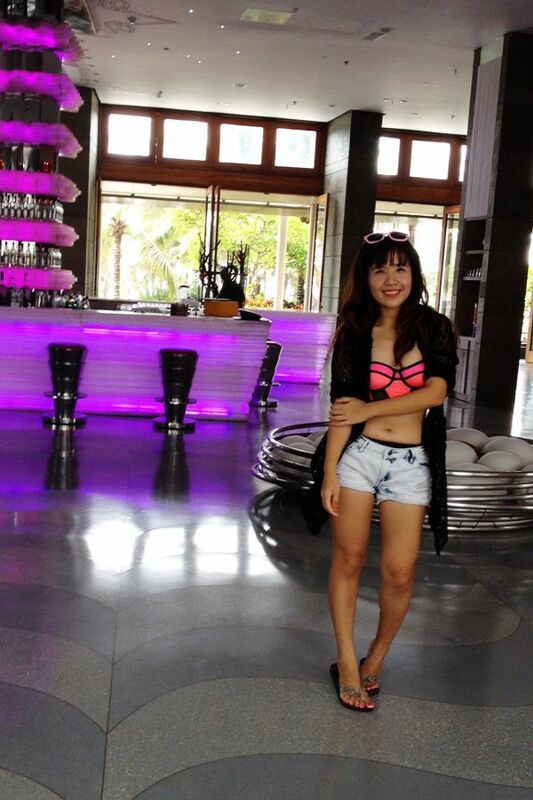 Since the beach was out of the question (due to the rain), we decided to head back to our villa to chill. Love the netting details on my bra top! It is actually really a bra wtf. Since it was made of spandex and is pretty lightweight, I decided it is too pretty to be worn on the inside, haha. Rain didn't stop us from having fun! Silly idiots pretending to be Mat Rempits haha. Testing our flexibilities with all kinds of funny yoga poses. Some of which are NSFW, haha. Jing wanted to imitate the bridge pose I did above, but she just couldn't achieve it HAHAHA. W for W Hotel. W for Wen! Right before checking out! 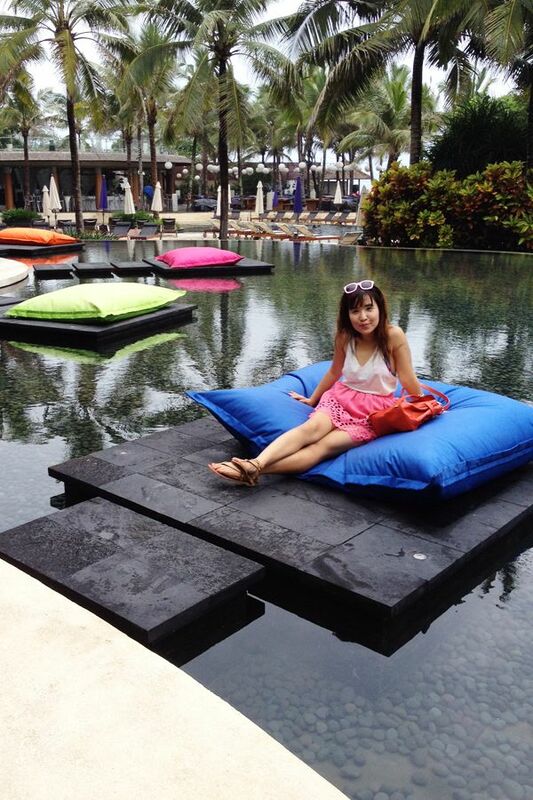 We decided to pamper ourselves with ONE night at the W hotel, and moved to a cheaper villa after that, haha. Kicking up a fuss for having to check out wtf. 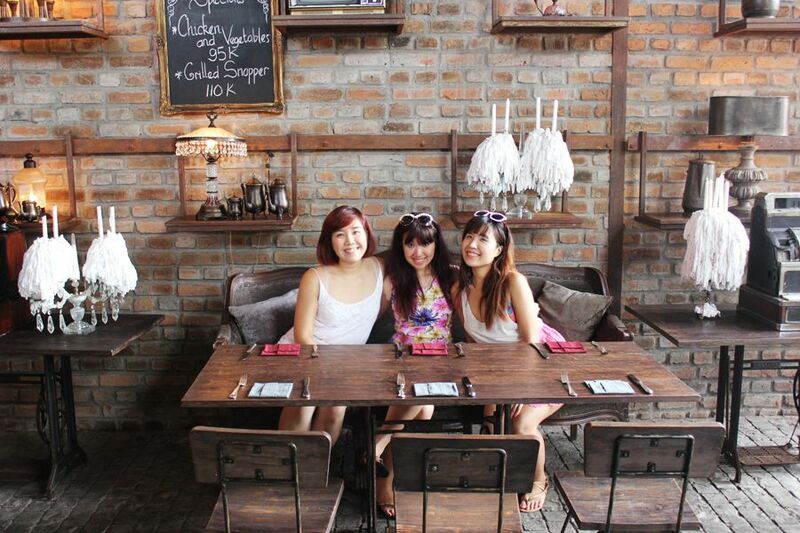 For lunch, we went to Bistrot cafe in Seminyak. 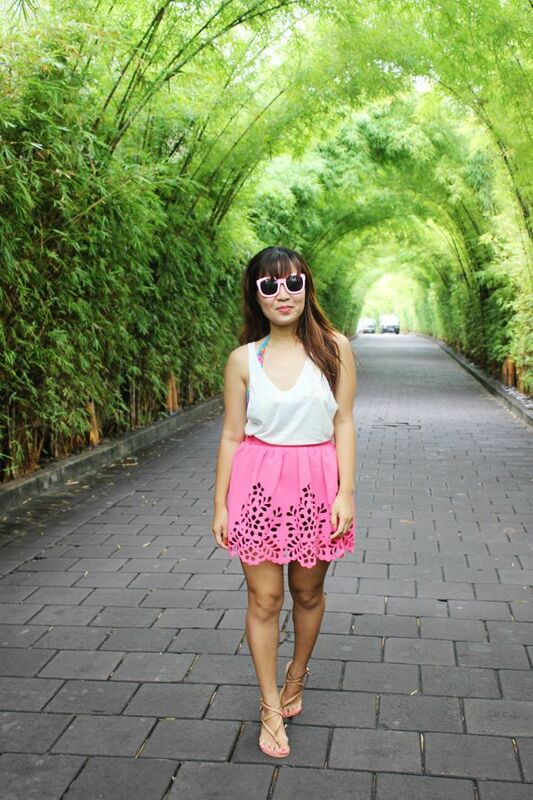 Jing is also wearing a cutout dress from AZORIAS (sold out)! 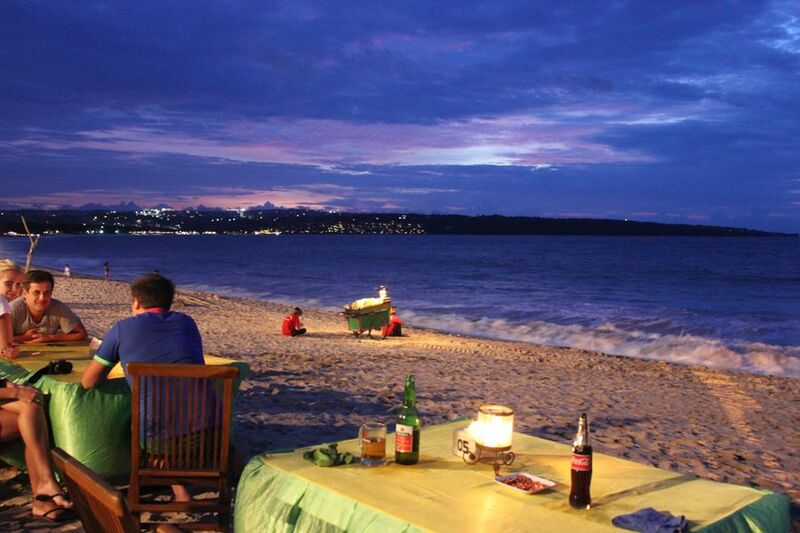 We had dinner at Jimbaran, experiencing one of the most beautiful sunsets in my life. This photo is totally unedited! Can't remember the name of the restaurant that we went to, but I wouldn't really recommend it anyway. The place was quite dirty. :/ Instead, I would recommend Menega Cafe more, which I briefly mentioned here. 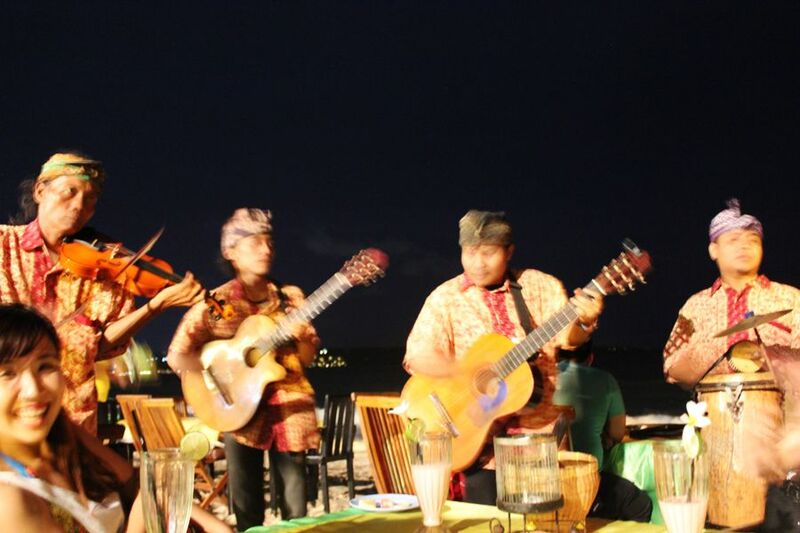 A fun part of dinner is having this local band serenade you during the dinner, haha. Since it was quite early after dinner, we made our way to Kuta, and shopped a little in Beachwalk, one of Kuta's newest malls. 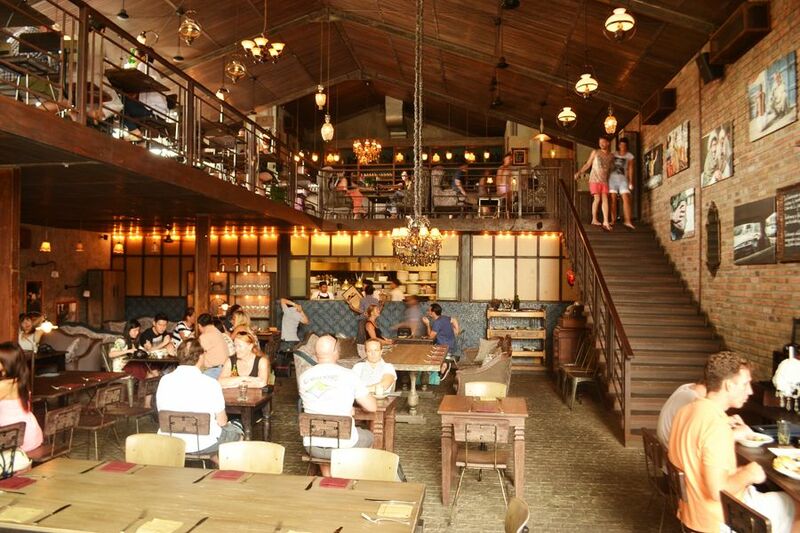 If you happen to be at Beachwalk, you can try out Kitchenette, a cafe/ Crêperie. 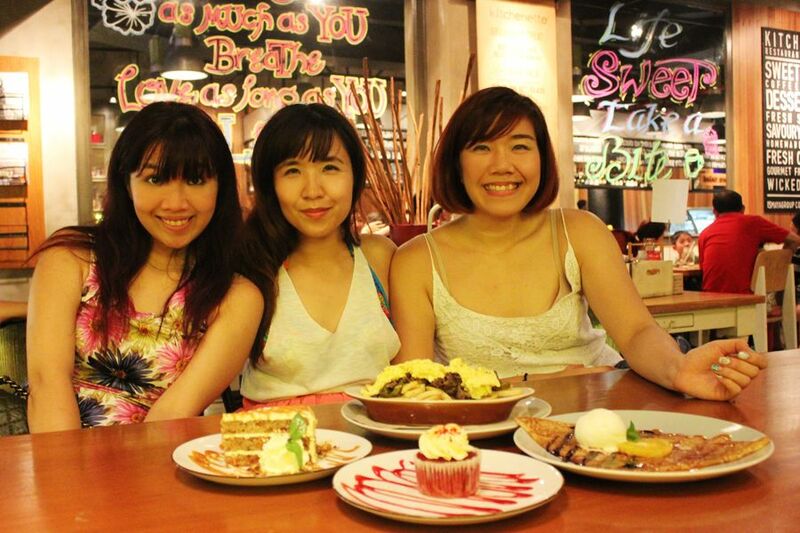 We mainly tried out their desserts, which has a huge selection such as cakes, crepes, cupcakes, pies etc. I miss my sisters even more! !